Parliament Speaker Ali Larijani has said that Tehran is determined to maintain unity among people despite different views of certain countries in the region. Iran’s parliament speaker has underscored that different views of certain regional countries would not influence Tehran’s determination to maintain unity among people. Speaking to reporters upon his arrival in the northwestern city of Orumiyeh on Saturday, Ali Larijani said that the issue of unity is regarded as one of the main tenets of the Islamic Revolution. Iran will remain committed to pursuing unity “although others in the region may sometimes have not an accurate view on the subject, however, that will not change our attitude,” the speaker added. He also hailed a long history of peaceful coexistence among diverse sects, religions and denominations in West Azarbaijan province in light of Islam. 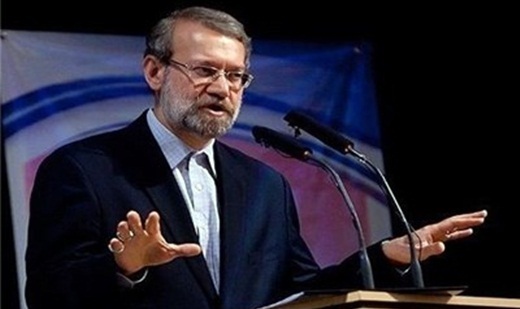 Larijani further blamed “foreign trends” for trying to disrupt peaceful coexistence across the Middle East region in recent decades, but made it clear that Iran focuses on unity as the cornerstone. His comments came after an international unity conference in Tehran that brought together hundreds of Muslim clerics and scholars to discuss the ways to promote sense of rapport in the Islamic world. Also on Friday, Supreme Leader of the Islamic Revolution Ayatollah Seyyed Ali Khamenei renewed the call for unity among Muslims, and stressed that focusing on the interest of the Islamic Ummah (community) will consequently benefit all Muslim nations. The Supreme Leader also described as a “big mistake” the foreign policy that certain regional states have adopted to oppose Iran. “In contrast to such unwise policies, the Islamic Republic continues to pursue its foreign policy on the basis of friendship and fraternity with all Islamic countries, including regional governments,” the Leader added.